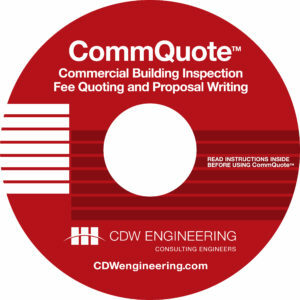 CommQuoteTM makes quoting fees for commercial inspections automatic. How much should you quote for a commercial inspection? ?Can you trust someone else (or even yourself) to give the same quote two days later on the same building? What about consultants? fees? Travel time? With CommQuoteTM, the Microsoft Excel-based data gathering, manipulating,?calculating and quotation-generating solution, you can deliver professional?and consistent quotations, and written proposals within 20 minutes. CommQuoteTM?covers six basic commercial building ?types and develops a quotation based on square?footage, number of stories, building usage, age, number and type of units, and consultants required. ?A single or multi-page proposal in Microsoft Word is then created through Word merge,?offering a menu of services for the client to consider and authorize. An information sheet is created?for your reference and to send to the inspector assigned to the project. Later, when?preparing to write your report, CommquoteTM once again merged with Word,?provides the basis for your report template. 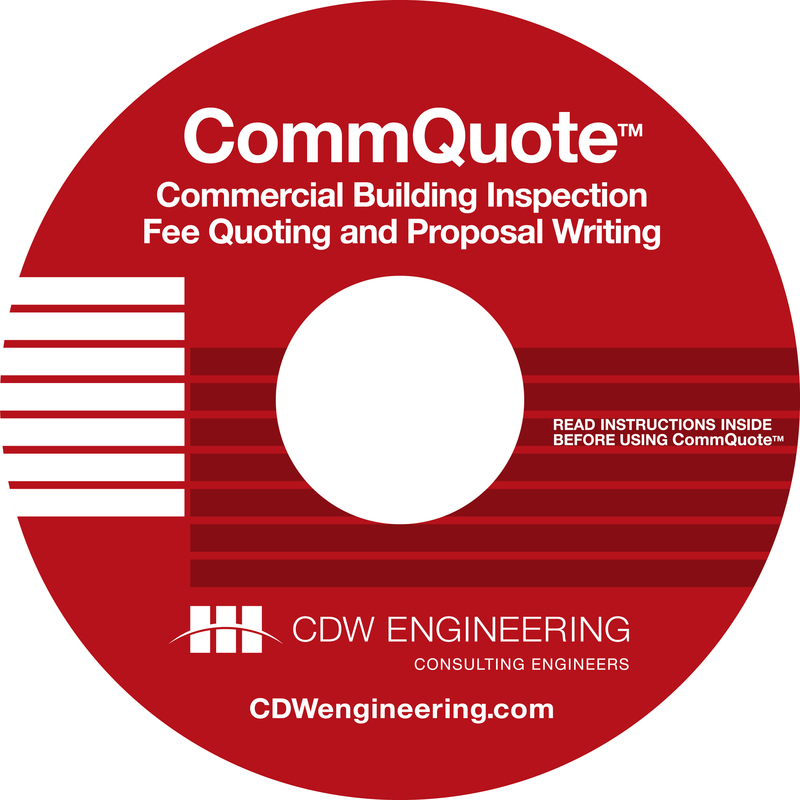 CDW Engineering has used CommQuoteTM for thousands of quotations. CommQuoteTM is? completely?customizable by the user. The user can at any time make changes or updates to CommquoteTM?or the Proposal template.